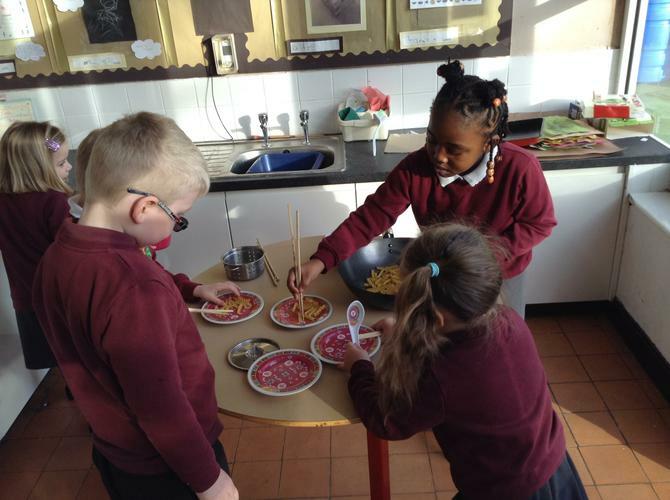 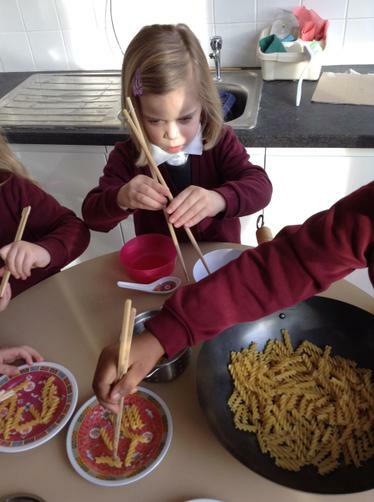 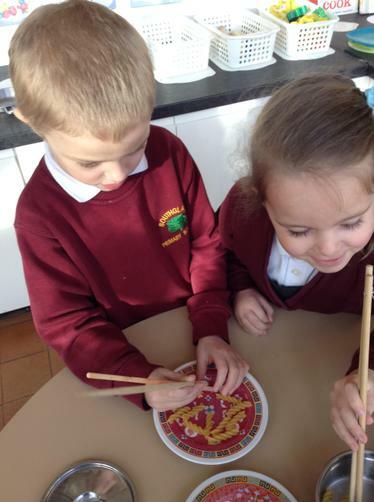 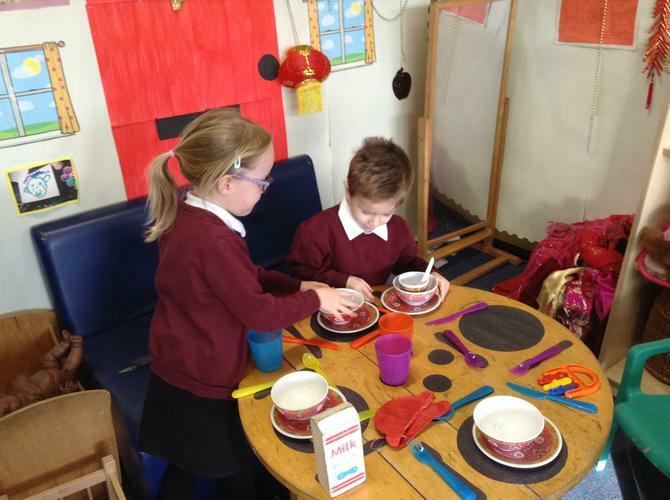 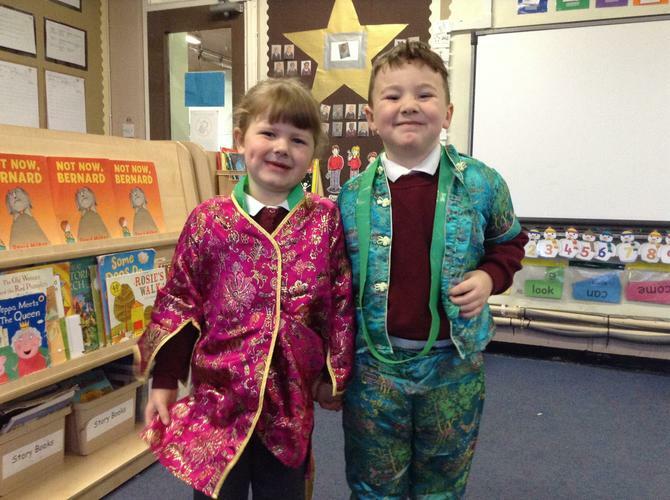 We have really enjoyed finding out how Chinese New Year is celebrated. 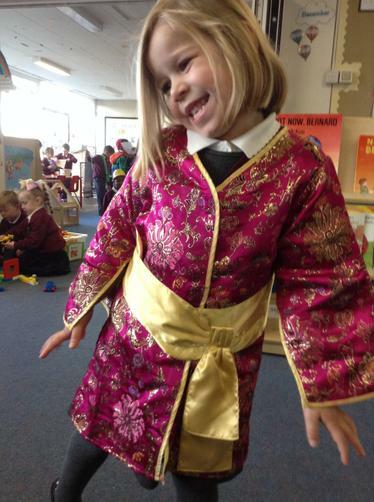 We have listened to the story of the fist New Year, tried on some Chinese clothes, tried using chopsticks and tasted some Chinese food! 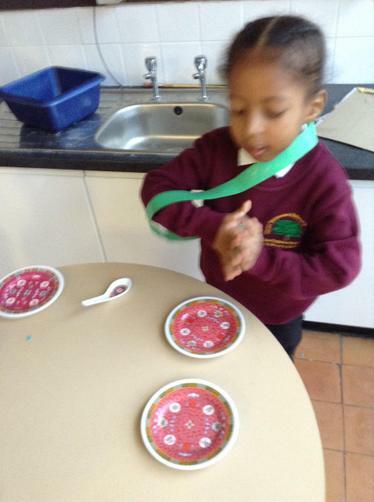 Despite the really cold weather this week, the children have still had lots of fun playing outside!